The central theme of these two parshiot is JEWISH IDENTITY – Ya’akovism vs. Aisavism, or to put it plainly: as with the practice of medicine where wellness is defined as the absence of sickness; in Judaism, Ya’akovism is defined as the absence of Aisavism. And just as a minor illness excludes the sufferer from the status of wellness, even an infinitesimal dose of Aisavism excludes a Jew from the distinctive, unique, sacred, aristocratic status of Ya’akovism. In parashat Vayishlach, Ya’akov Aveinu returns home triumphantly, as Chazal say: “spiritually, physically and materially whole”. But a dark cloud hovers as he learns that waiting to greet him in Eretz Yisrael is his brother Aisav, accompanied by 400 “armed to the teeth” cohorts. Ya’akov prepares for the fateful meeting, not only of two alienated brothers, but the collision of two ways of life, both of which are destined to influence humanity until the end of time. Ya’akov is gripped with fear. He devises a three-pronged strategy: to appease Aisav with gifts, to pray, and to prepare for battle. And just to make sure, if these should fail, Ya’akov divides his loved ones and material possessions into two camps, so that in the event Aisav destroys one, the other will have an opportunity to survive. Ya’akov is desperate. On this day, his destiny, and that of the Jewish nation hang in the balance; tomorrow it will be resolved in the life and death struggle between him and his brother. In view of Ya’akov’s pessimism, we cannot escape the seemingly unexplainable change of heart on the part of Ya’akov. At the height of the drama, just before Ya’akov is about to meet his brother, he unites the two camps into one. The Torah even relates by name the order in which the family stood at the approach of Aisav: Bilhah and Zilpah with their children first, Leah and her children second, with Yosef and Rachel last. How did his fear dissipate? The answer is in the mysterious episode that separates the opening pesukim describing Ya’akov’s trepidations and the perilous meeting with Aisav – the all-night wrestling match between Ya’akov and the angel. The mystery lies not only with a man physically fighting an angel, but the pasuk itself is contradictory. In chapter 32:25, the Torah says: “And Ya’akov remained alone – and a man began wrestling with him until daylight”. Now, if Ya’akov was “alone”, how did he wrestle with a man? Ya’akov returns to his family and merges the two camps into one, fully confident in his inner strength which he now projects to the family, and all are prepared to face the antagonist of all that is holy to Am Yisrael. Ya’akov identifies himself as “Ya’akov” and “Yisrael”. Regarding parashat Vayeshev, many quills have been broken and much ink spilled in attempts to explain why Yosef’s brothers wished to distance him from the family. The rationale appearing in Rashi is that the brothers’ hatred stemmed from Yosef’s having revealed to their father that they had violated the prohibition against dismembering an animal while it is still alive. But this is highly problematic, for this act is forbidden even to the gentile descendants of Noah! I submit: HaShem chose us, the descendants of Avraham, Yitzchak and Ya’akov from all the nations. But unlike the other nations whose cultures evolved in stages, with individuals integrating as families, families as tribes and tribes as nations, the Jewish People received our entire divine way of life in one moment at Mount Sinai. But what was the status of the Jewish “family” prior to HaShem’s revelation at Mount Sinai? Were they Jews like us in every sense of the word, or were they entirely non-Jews, or perhaps something else? In other words: were they Ya’akov or Aisav, or perhaps a little of both? This question stood at the heart of the argument that erupted between Yosef and his brothers. One of the seven Noachide laws is the prohibition against dismembering an organ or flesh from a living animal – אבר מן החי- “Ever Min HeChai”, literally, “a limb from the living”. This commandment differs from the other Torah laws in that the Torah is stricter with the gentile than with a Jew in determining an animal’s moment of death. For Jews cutting the majority of the trachea and esophagus (or one of the two in the case of a kosher fowl), constitutes death of the animal permitting one to begin dismembering it. For non-Jews, however, an animal is considered dead only when its death throes entirely cease. The dispute between Yosef and his brothers focused on the question of their religious/national status before receiving of the Torah, finding practical expression in how the moment of death that renders an animal to be dismembered. The brothers argued that they were Jews -Ya’akov in every regard, and they would customarily cut limbs from animals immediately after cutting the trachea and esophagus, without waiting for the animal to come to rest. Yosef agreed that they were Jews in every sense, but only outside the Land of Israel. Inside the Land, they were obligated to abide by all the strictness applying to Jews and to non-Jews. Thus, according to Yosef’s approach regarding the Land of Israel, removing limbs from an animal when it is still moving constituted a violation of Ever Min HeChai. What led Yosef to this conclusion was his mother Rachel’s death immediately upon her entrance into the Land. Rachel and Leah were forbidden to marry one husband since they were sisters. Yet Ya’akov, as a Jew, had converted them, and the law is that a convert is like a newborn, such that the family connection between the sisters had ceased. When Yosef saw that his mother had died immediately upon entering the land, he concluded that their conversion, with all of its ramifications, was binding only outside the Land. In the Land of Israel, however, they were bound by all the strictness applying to Jews and to non-Jews. It thus turned out that Rachel and Leah were still considered sisters according to the laws applying to non-Jews. That was why Rachel was taken away from Ya’akov. Yosef’s halachic position maintained that his father should have divorced Leah before they entered the Land, thereby saving Rachel from death. 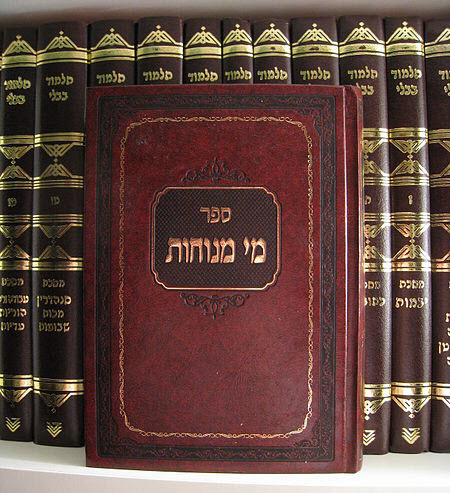 In Parashat Vayechi, when close to his death, Ya’akov revealed to Yosef that his conclusion based on Rachel’s death that the strictness of both Jews and non-Jews applied to the family in Eretz Yisrael was erroneous. Your mother Rachel died and was buried there because fifteen hundred years later, with the destruction of the First Temple, those setting out for the exile would pass by way of Efrat, and Rachel would emerge from her grave to weep and pray for her children. Ya’akov rejects the notion that he and his children are anything less than total “Ya’akov,” without a trace of Aisav. Two parshiot of uncompromising Jewish identity. Conclusion: There are many opportunities in life when one is called upon to define and clarify his role as a Jew. 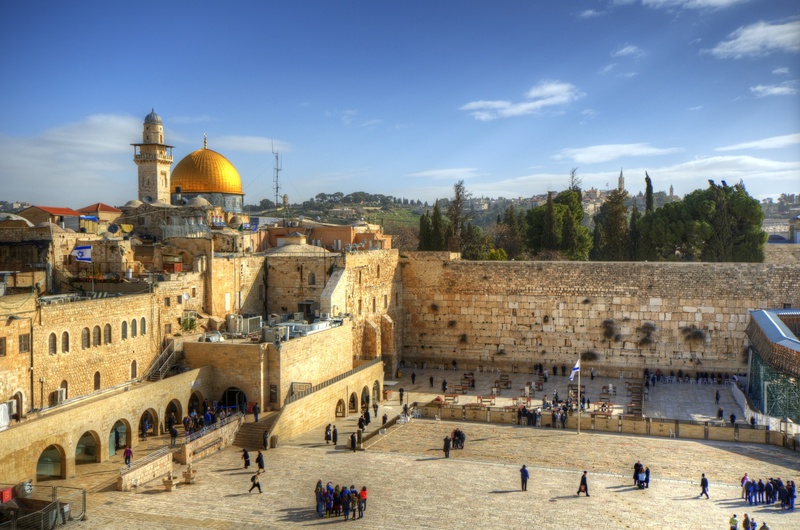 For us in Eretz Yisrael there is no room for choice – we eat, drink, breath and live in the eternal shadow of our forefathers. We are not jew-ISH, we are Jews! In contrast, the most conscious jew in galut who wants to be a “Ya’akov” cannot let go of the Aisavism in his soul. In the matter of Ya’akov vs. Aisav it matters not if one is a leading rabbinic figure or an assimilated Jew, both are not Ya’akovs because they choose to live with Aisav. With the difference between the rabbis and the assimilated camp being the quantitative degree of Aisavism they choose to bring into their lives. The intermarried Jew identifies totally with Aisav, whereas the “ben torah” in galut is Ya’akov prior to that significant night when he fought with the Aisavism in him to become absolute Ya’akov. An example of what I mean is transpiring at this very moment in the State of Connecticut where Agudat Yisrael is holding its 97th yearly conference in an exclusive hotel and enjoying the pleasures that an Aisavistic culture can provide. Leading Chareidi rabbinic figures are there. What will they answer in the real world where absolute truth reigns?